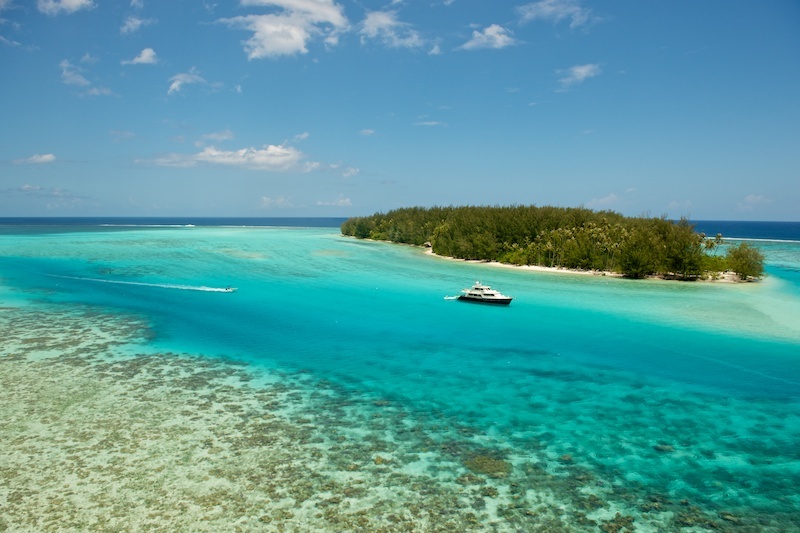 Is a trip to the South Pacific on your bucket list? 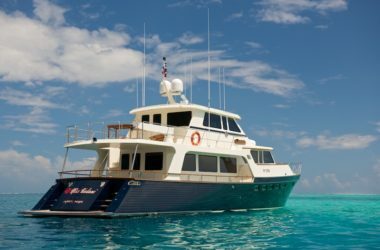 Well if so, it’s never been easier to get onboard your own private luxury yacht and explore the region with Miss Kulani. 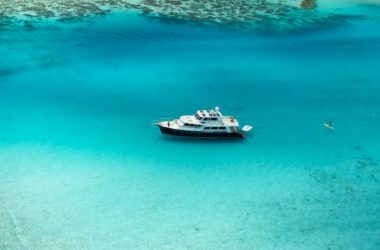 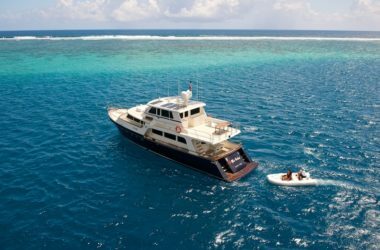 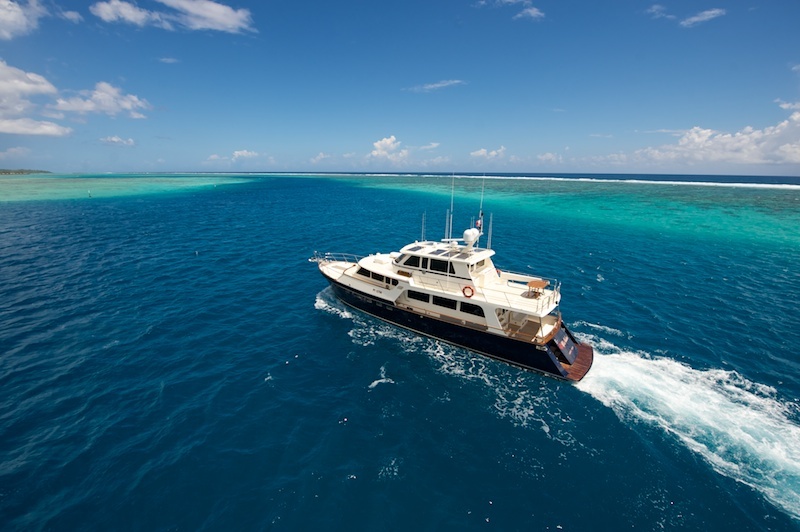 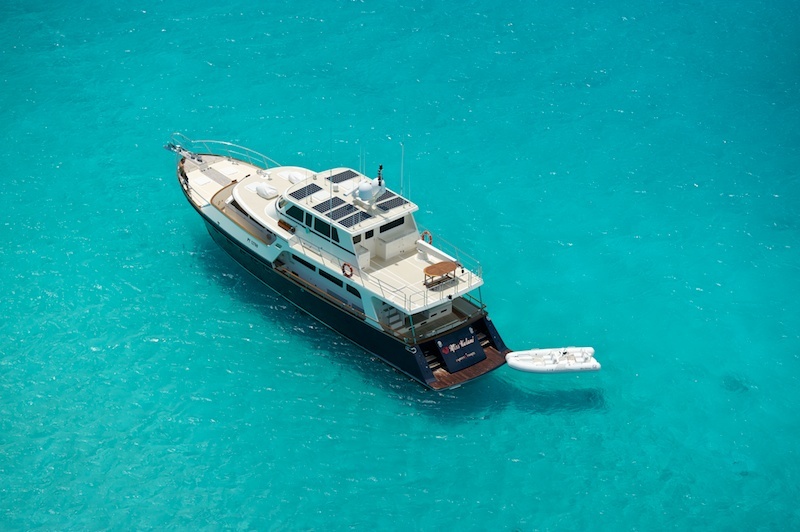 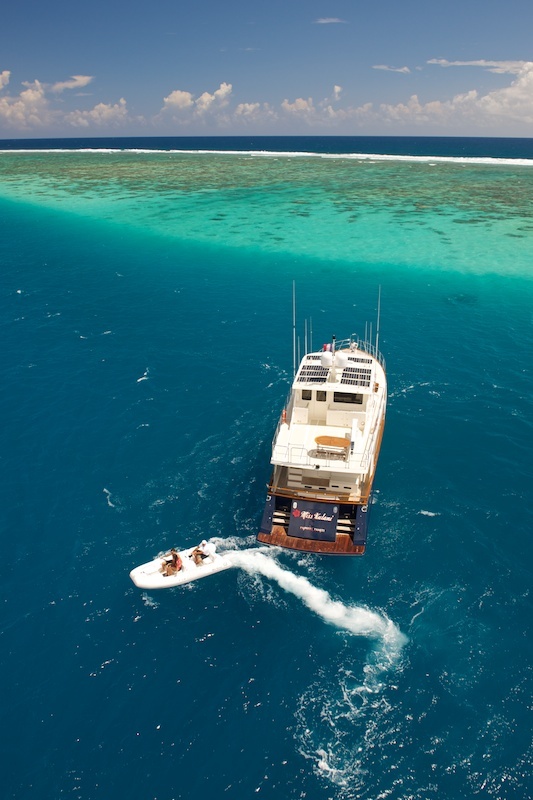 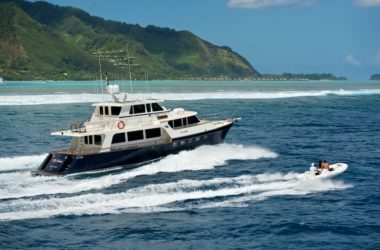 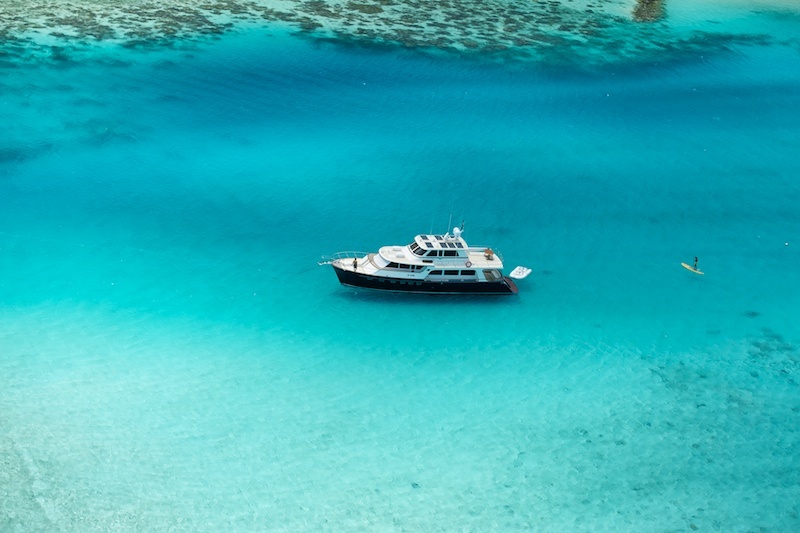 At the perfect pocket size of 75 feet, Miss Kulani is an excellent choice to get you up close to some of the most remote bays and crystal clear waters of the South Pacific. 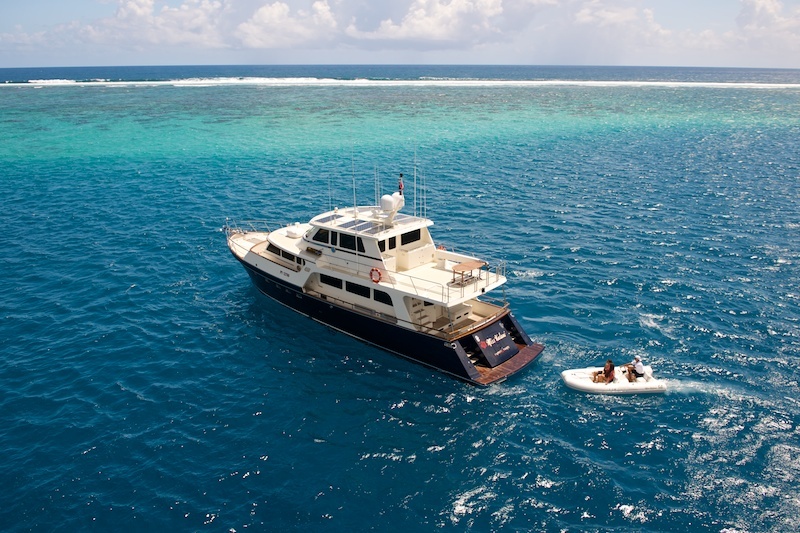 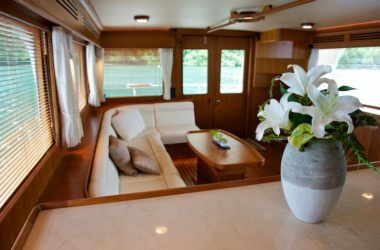 Her long bow offers plenty of space to relax and unwind in the sunshine, or deep dive off the swim platform on the aft deck and explore the local wildlife below the surface. 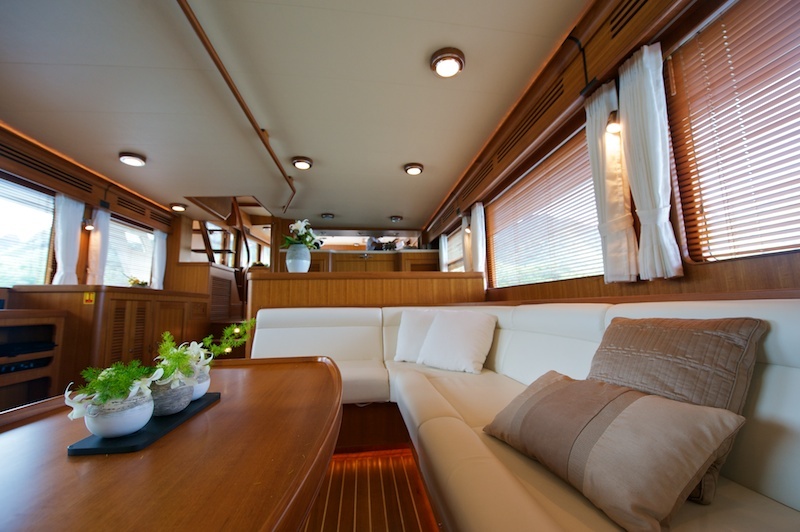 The interior of Miss Kulani offers a beautifully appointed salon, updated furnishings and bar area to relax with a game or sip evening cocktails before dining under the stars. 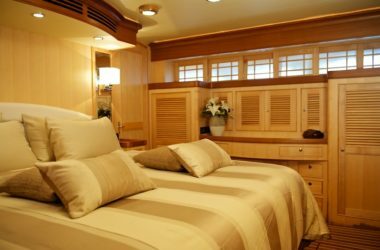 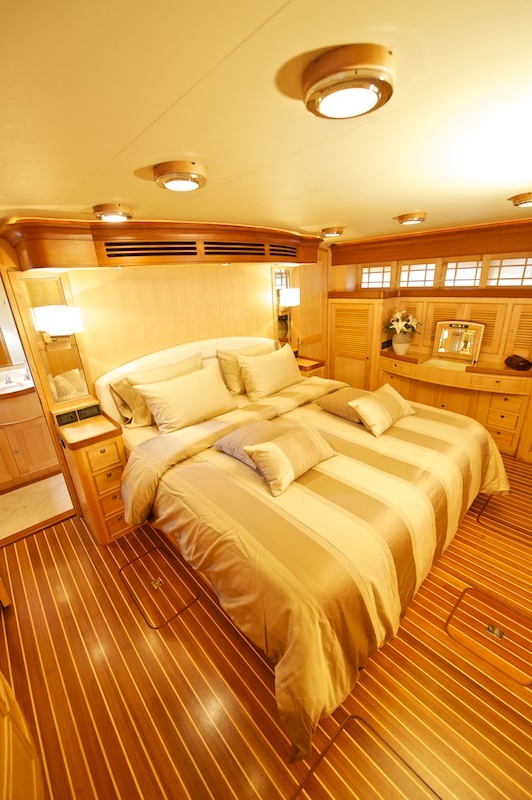 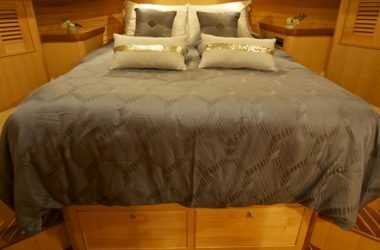 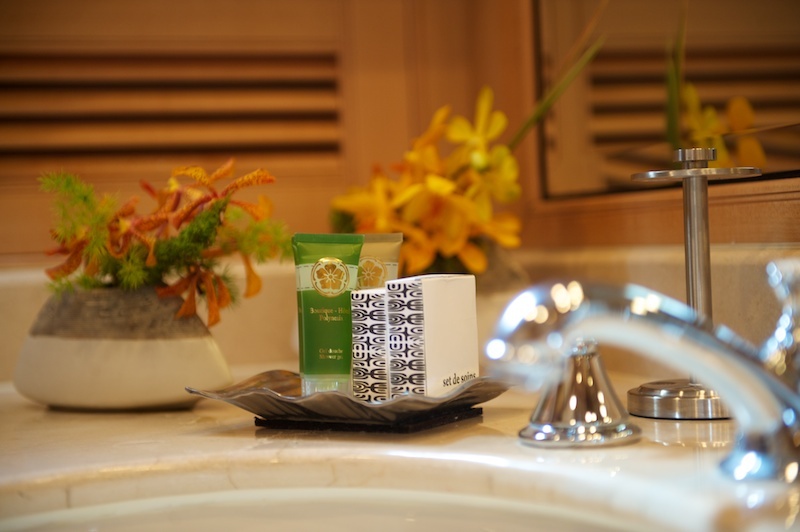 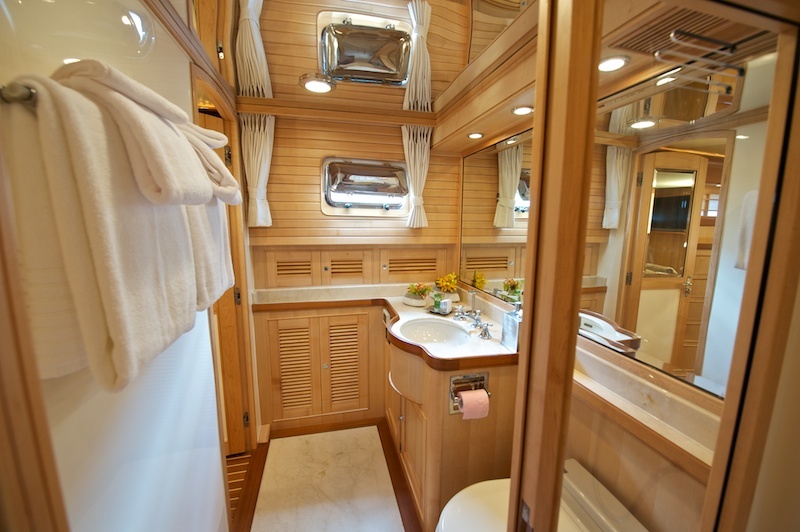 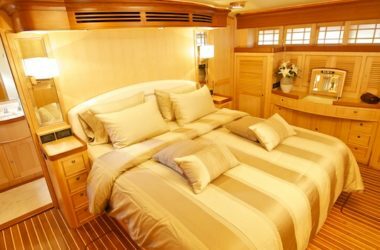 While she can actually accommodate up to eight guests, the fourth stateroom is better suited for children in your party, leaving the large and spacious master and two staterooms for the adults in your group. 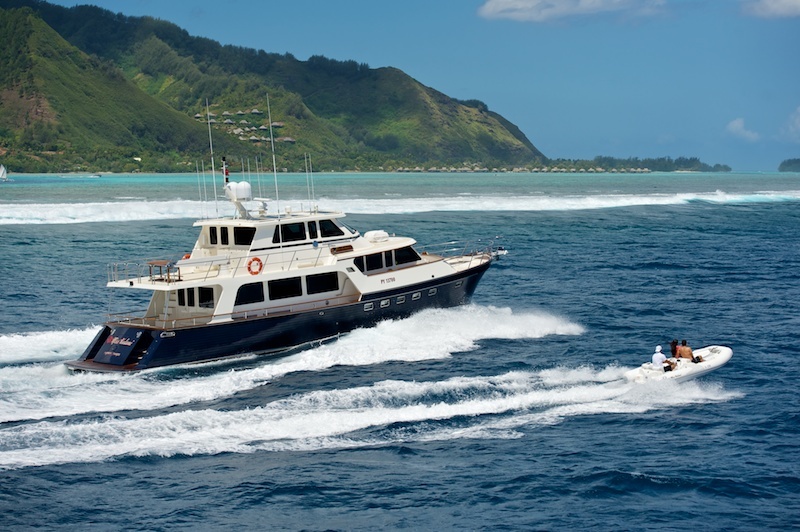 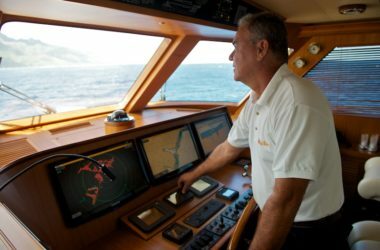 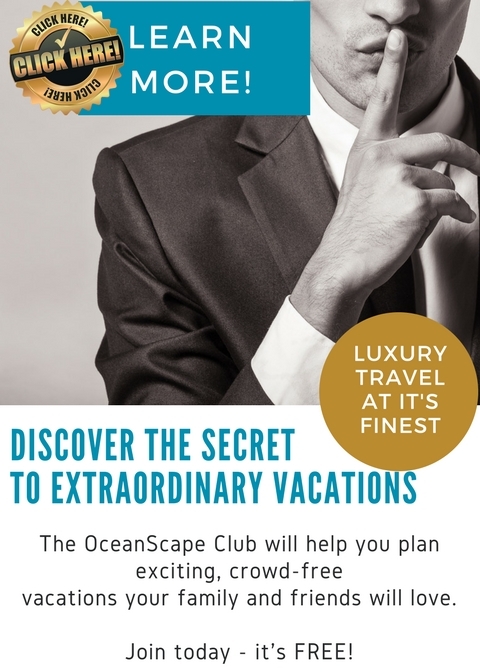 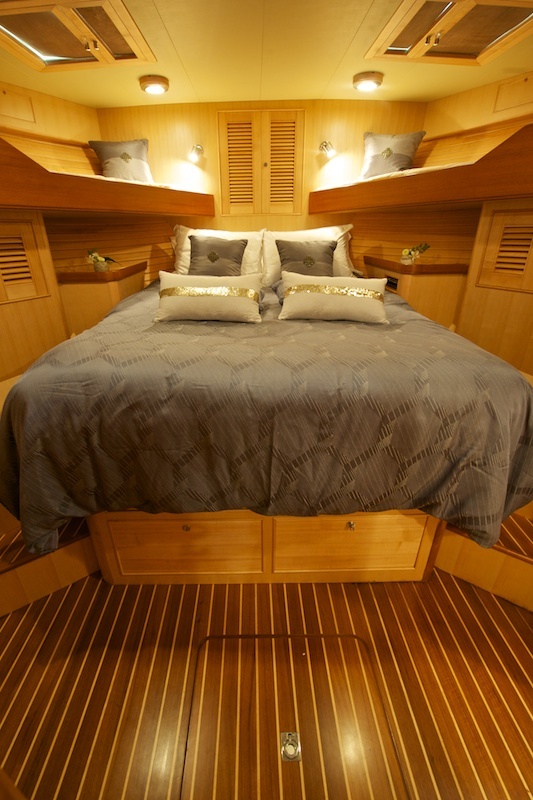 This fantastic experience is available for $10,000 per week per person based on a 7 night charter and 8 adult guests. 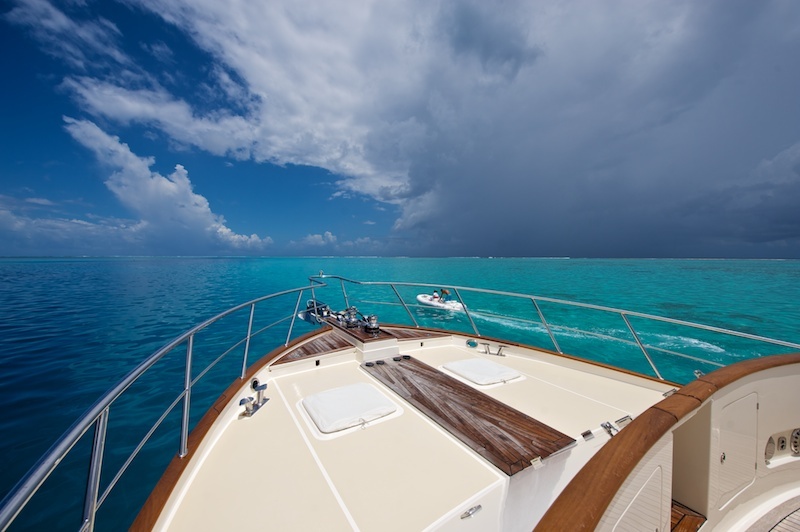 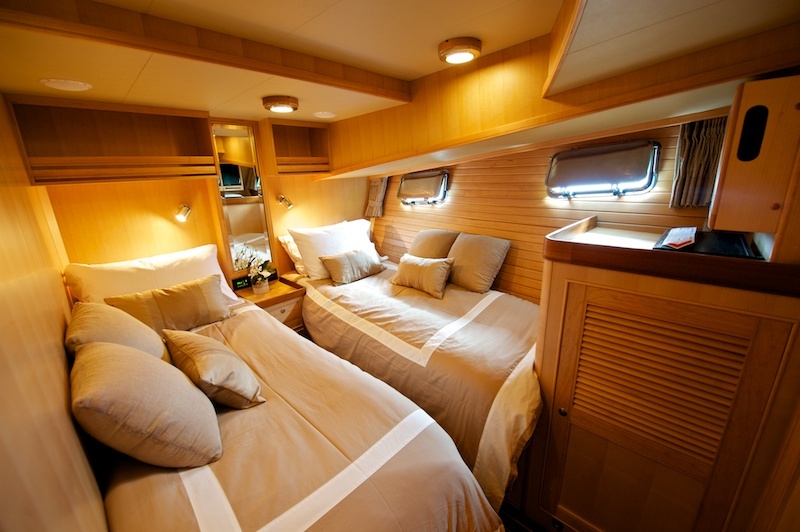 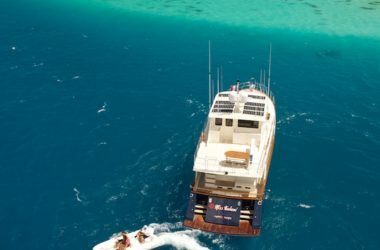 Price includes a base charter rate of $40,000 with the additional 35% covering basic taxes, fees, provisioning allowance, fuel and 15% gratuity. Any special requests over and above will be at an additional cost.